Several settlements of Mennonites and Amish were started at various times in Arkansas County, Arkansas. The first Amish Mennonite immigration began in 1880. Among the first to move into the vicinity of Stuttgart were the families of Jacob Schulz, Christ and Joe Roth, John and Chris Nofziger, Jacob Yoder, Jonathan Beck, and Jacob Beck, most of them coming from Hickory County, Missouri. The first resident minister was Jonathan Beck, who died there in 1891, and the first resident bishop was Jacob Yoder, who moved there in 1912. Other family names were Springer, Stutzman, Rich, Stahley and Sheffle. A meetinghouse was erected about six miles (10 km) southeast of Stuttgart, known as the Yoder church. The settlement died out, however, by 1920, and the meetinghouse was moved to Pryor, Oklahoma. In 1925 a new wave of immigration began, this time from Iowa through the efforts of land agents. Those who moved from Kalona, Iowa, were Joe Eimen, Manass Brenneman, William J. Schrock, Simon Gingerich, Solomon C. Ropp, Thomas and Leroy Miller and Lloyd Knepp. Almon P. Hostetler and John and Noah Smucker came from Indiana. This new group of settlers, attracted by cheap land and to rice farming, was made up of Mennonite, Conservative Amish Mennonite, and Old Order Amish. There was no minister in the group, and they formed a union Sunday school. Because of lack of ministerial leadership for many years and unsatisfactory church life, many began to return to their former homes. When the depression came in 1929 most of the settlers left the community. A number of Old Order Amish families from Michigan moved to a location north of Stuttgart in 1927. Among the group was Noah Bontrager, bishop, and Eli Bontrager, minister. Others among them were the Swartz and Yoder families. This settlement met a number of calamities, however, including the death of their bishop in 1929. The last of the Old Order Amish moved out in April 1937. Hostetler, John A. 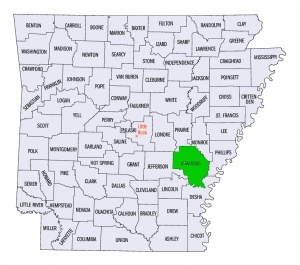 "Arkansas County (Arkansas, USA)." Global Anabaptist Mennonite Encyclopedia Online. 1953. Web. 20 Apr 2019. http://gameo.org/index.php?title=Arkansas_County_(Arkansas,_USA)&oldid=113722. Hostetler, John A. (1953). Arkansas County (Arkansas, USA). Global Anabaptist Mennonite Encyclopedia Online. Retrieved 20 April 2019, from http://gameo.org/index.php?title=Arkansas_County_(Arkansas,_USA)&oldid=113722. Adapted by permission of Herald Press, Harrisonburg, Virginia, from Mennonite Encyclopedia, Vol. 1, p. 158. All rights reserved. This page was last modified on 20 February 2014, at 06:27.